With the worse changes of global climate, environmental problems in Hongkong are as severe as in many industrial countries and regions in the world. Hongkong is suffering the environmental pressure because of air pollution, waste water, noises, waste substance and population growth. It is needed to the efforts from all sectors of society to improve the environmental situation. With special reference to consumption area, it can improve environmental awareness of the public and environment quality of Hongkong to promote the Eco-label scheme and green consumerism. Besides, technical barrier to trade that has existed for many years is a key factor for the implement of Hongkong Eco-label. The Blue Angel of Germany, which is created in 1977, is the first and oldest environment-related label in the world for products and services. In 1993, European Union initiated "EU Flowers" eco-labelling scheme. In 1993, Taiwan province of China carried out "Green Mark" ecolabelling program. In 1994, China carried out China Environmental-Label scheme. In addition, Canada, Japan and other countries also started their own eco-labelling schemes. To cooperate more widely in the world, world counties had been finding a way to communicate with each other. In 1994, Global Ecolabelling Network (GEN) was founded as a significant event in the world. The Global Ecolabelling Network (GEN) is a non-profit association of third-party, environmental performance labelling organizations founded in 1994 to improve, promote, and develop the "ecolabelling" of products and services. The mission of the GEN is to: serve its members, other ecolabelling programs, other stakeholders, and the public by improving, promoting and developing the ecolabelling of products, the credibility of ecolabelling programs worldwide, and the availability of information regarding ecolabelling standards from around the world; foster co-operation, information exchange and harmonization among its members, associates, and other ecolabelling programs with regard to ecolabelling; facilitate access to information regarding ecolabelling standards from around the world; participate in certain international organizations in order to promote ecolabelling generally; and encourage the demand for, and supply of, more environmentally responsible goods and services. In support of this mission, GEN members: set criteria for and certify products and services with lower environmental burdens and impacts than comparable products/services with the same function; provide information, advice and technical assistance to organizations contemplating or developing programs; disseminate information to the public; and represent the interests of ecolabelling in various international meetings and events. Index> Ecolabels> What is Hongkong Eco-label? Eco-label is a kind of evincive label which marks on the products or the packaging of the products and can prove that the products, not only in good quality but also confirming to the certain environmental requirements in the process of producing, use and recycle, are superior to the parallel products on energy conservation and less poison and damage to environment. 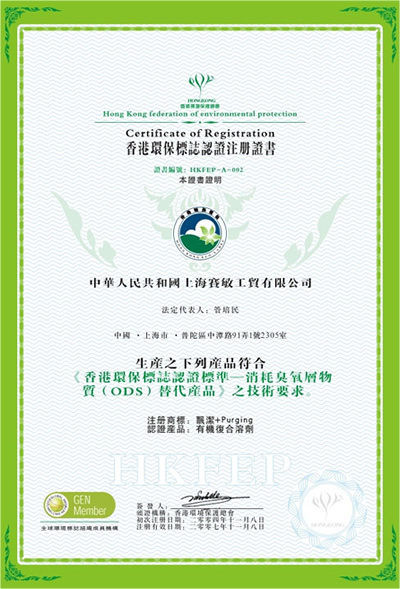 Hongkong Eco-label is a type of product certification that validates if the environmental performance of the product confirms to the relevant technical standard about environmental protectio. To integrate with international practice and lift technical barriers to trade are more importantly international characters for Hongkong Eco-label. ISO has issued a series of standards for eco-lableing, including ISO14021, ISO14024 and ISO14025 etc. It be note worthy that Hongkong Eco-label tries to adopt international standards or China National Standards to establish technical requirements for products, and promotes the certification business in accordance with international practice. This is the great advantage for Hongkong Eco-label. Technical Barriers to International Trade. To avoid forming technical barriers to trade and integrate with international practice, Hongkong local government and industries have been avoiding to establish local standards. According to this, HKFEP has been adopting equally the relevant international standards or China national standards. 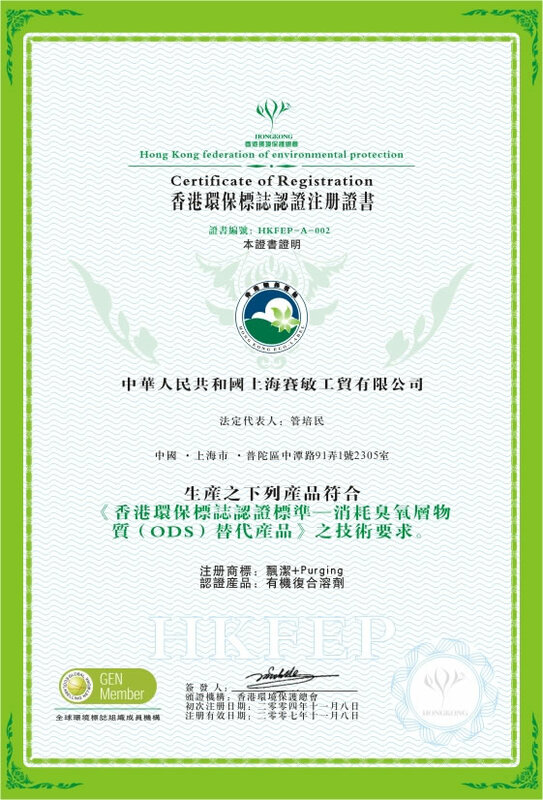 1、The products to be certified must be amongst the categories of Hongkong Eco-label. 2、The applicants must be registerd business bodies or companies. The applicants should pay for product testing to testing organizaiton. 1、The applicant should pay the fees for certification process to HKFEP within 30 days after signing the contract. 2、The applicant should pay the fees for the use of label and supervision examination within 30 days after signing the contract.